So, just around the time I was writing this commentary, I encountered a fairly old document detailing some of the plans I had for the comic at this time. And I was fascinated to read some of the things I had planned but decided not to go with. For example, since it had not yet been revealed that Bob and George were definitely the characters from the hand-drawn comics, there was some speculation that they were actually robots, possibly built by Dr. Light. Like, maybe Dr. Light had read the hand-drawn comics and decided to build robot-duplicates or something. Seeing as how I hadn't revealed their super-powers or really all that much about them, it was possible that they weren't biological at all. Additionally, as I mentioned back during Mynd's first two appearances, I had plans for him, though I had completely forgotten about them by this point. In fact, originally, Mynd was supposed to attack the Megaman Universe before Mega Man and X returned. The idea was that Mynd would attack the Megaman Universe after the timeline had stabilized but before the blue bombers had returned, resulting in an easier attack. And like the storyline did progress once Mynd showed up, he would mop the floor with everyone, and Mega Man, X, and Bass would show up just in the nick of time, turning the tables. You know, pretty much how every battle in the comic works. Actually, in my notes, Mynd would eventually defeat those three as well, and then be stopped by George, much like how it actually turned out. But what's really interesting is that was supposed to stop him, not with his powers, but with his blaster. See, it just goes to show you how long that little nugget had been bouncing around in my head, huh? 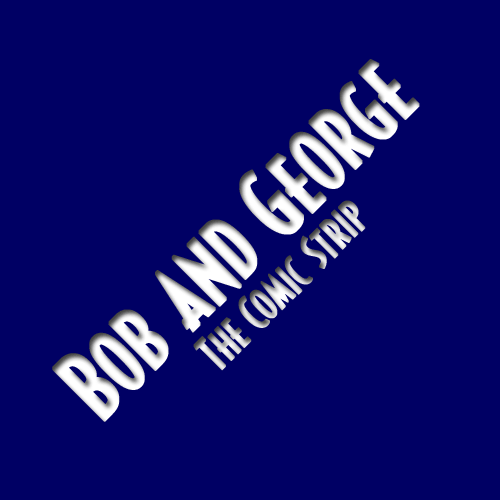 Since George's blaster was supposed to be just as powerful as Bob's, and since we saw how powerful Bob's blaster was, that would've been the key to defeating Mynd. Personally, I think I prefer the way the storyline ended up turning out, since I really enjoyed all the X and Zero stuff coming up, and I think saving the revelation of George's blaster for the end of comic worked much better.